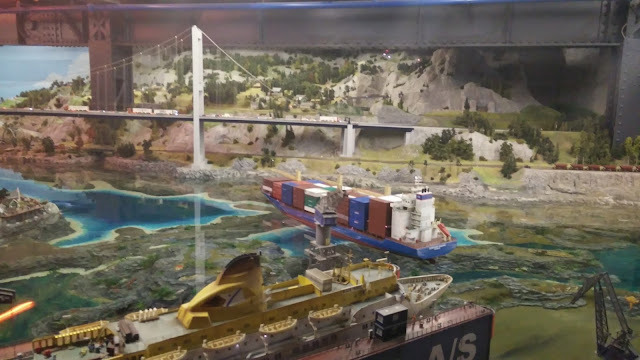 Gone are the days when children played with Meccano - a set of metal strips of many shapes and sizes, screws and wheels to make many objects either from drawings given with the Meccano set or one could make anything out of the available material as per one's aesthetic and innovative mind. 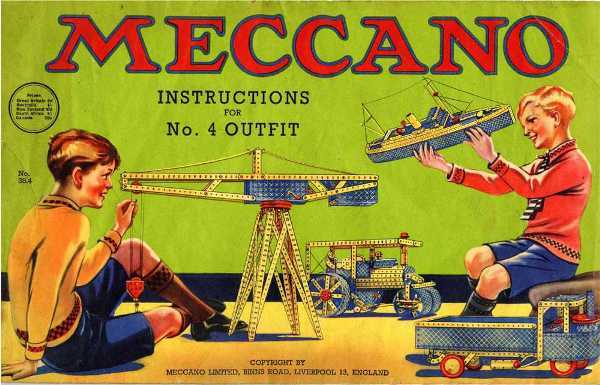 I too as a child made things from our Meccano set - but that was long ago. But there are people still who make models for fun - for them miniaturized scaled down models is their passion and hobby. 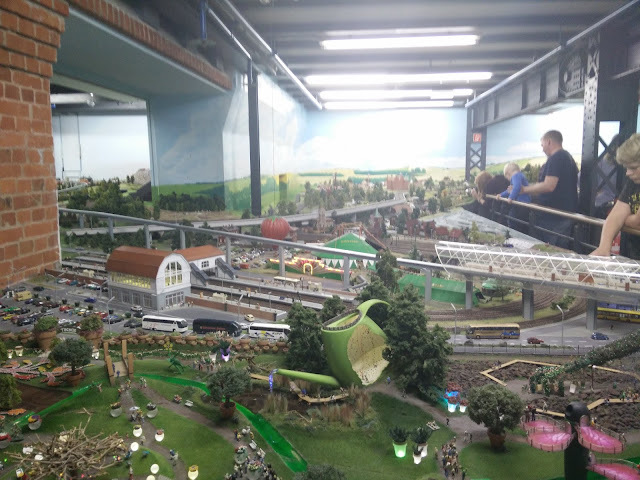 And those who still love, besides their children, to see miniature trains running on plastic tracks, Miniatur Wunderland in Hamburg Germany is a place never to be missed. 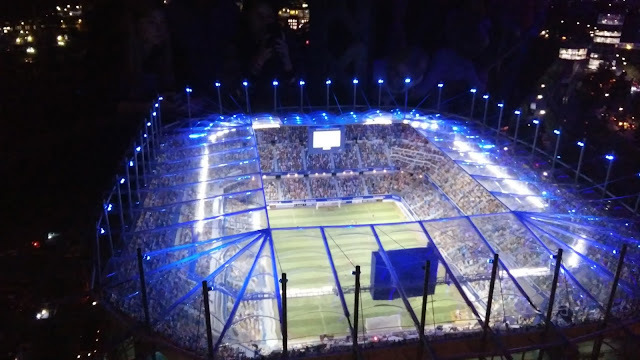 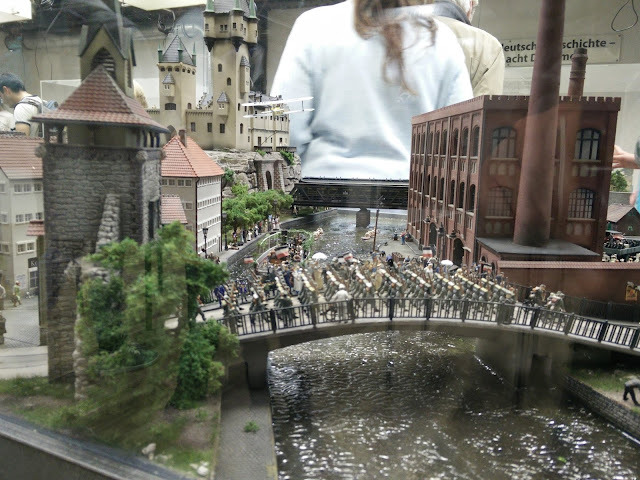 Although called Miniatur Wunderland. 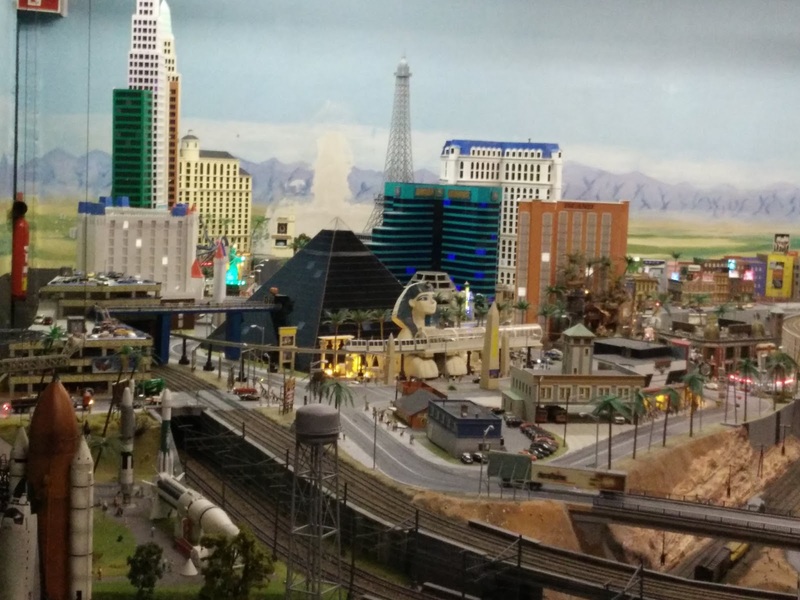 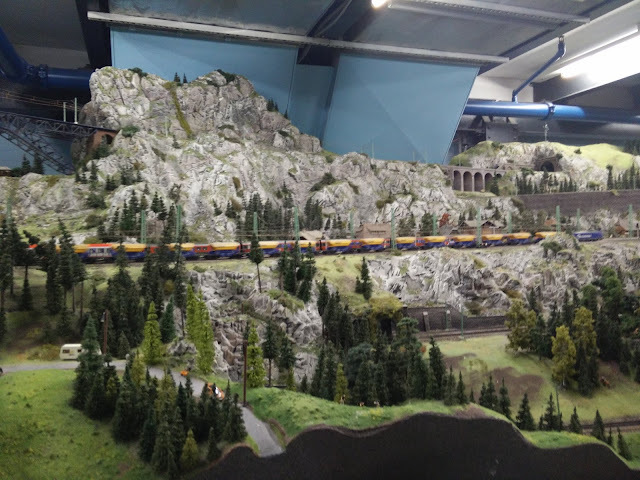 The Miniatur Wunderland is enormous as it includes 930 trains made up of over 14,450 carriages, 335,000 lights, 228,000 trees, and 215,000 human figurines. 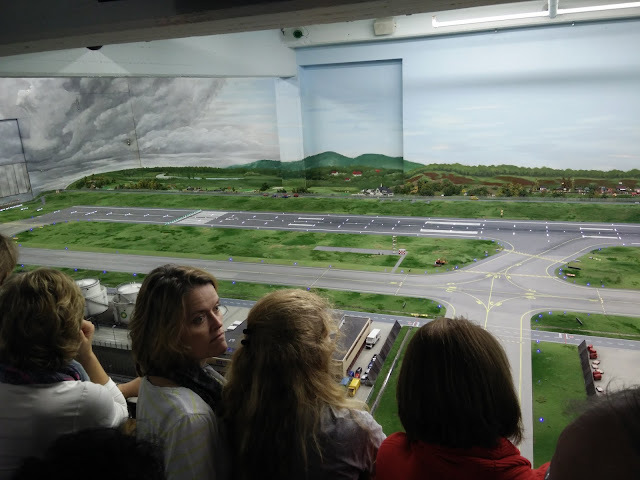 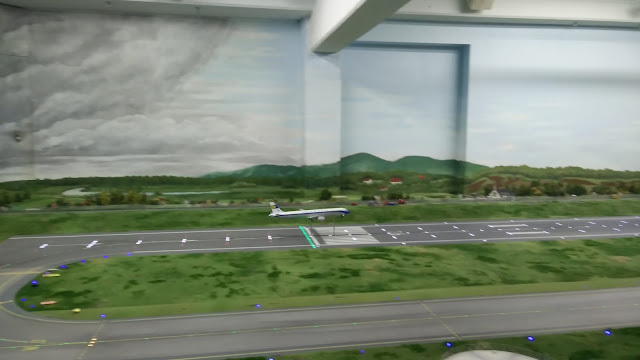 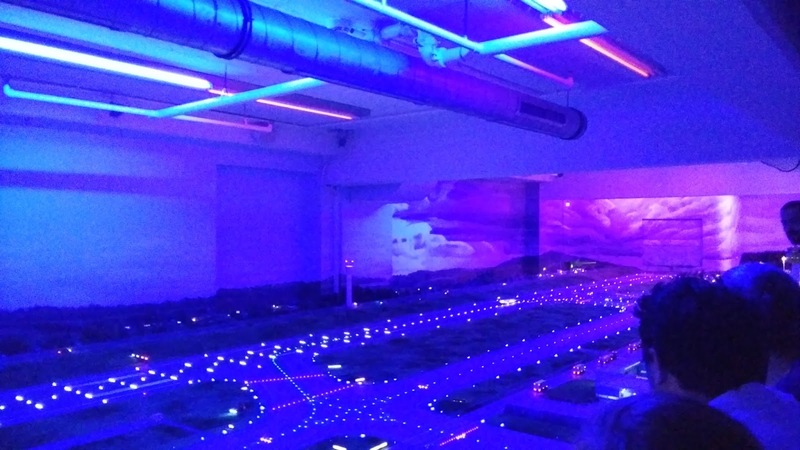 Besides there are a large number of airplanes from Cessna to Airbus 380 and the entire airport depiction from passengers to maintenance buildings and runways. 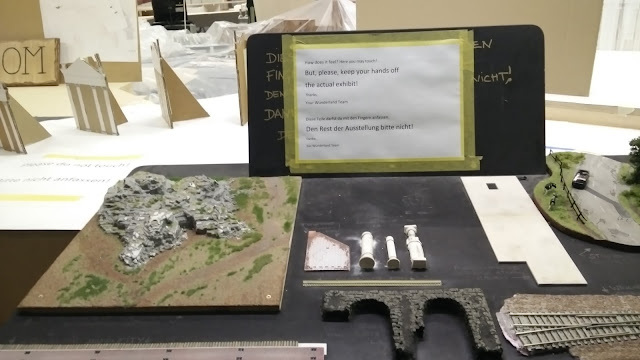 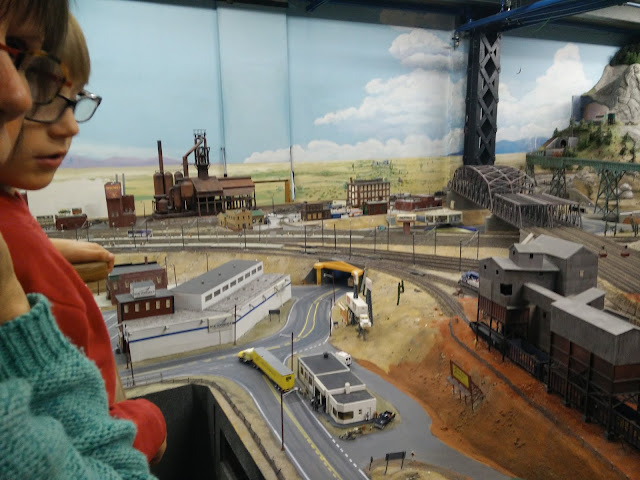 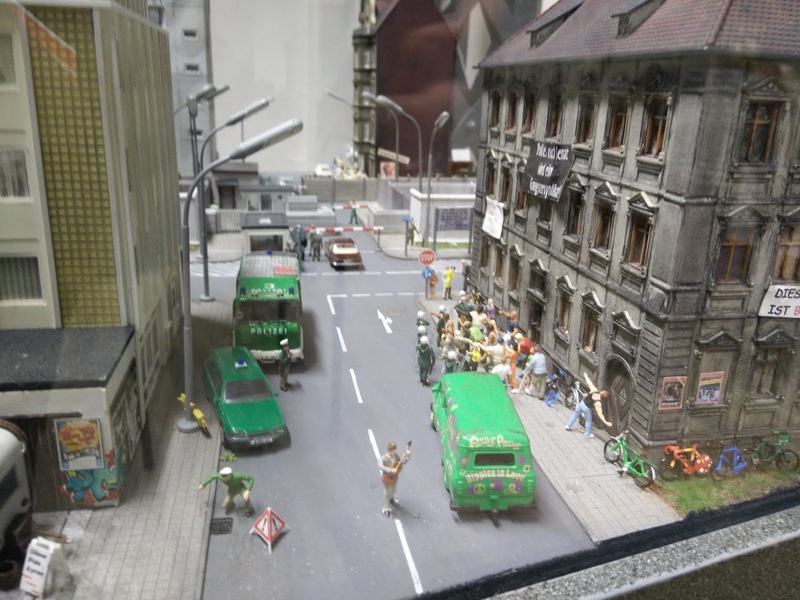 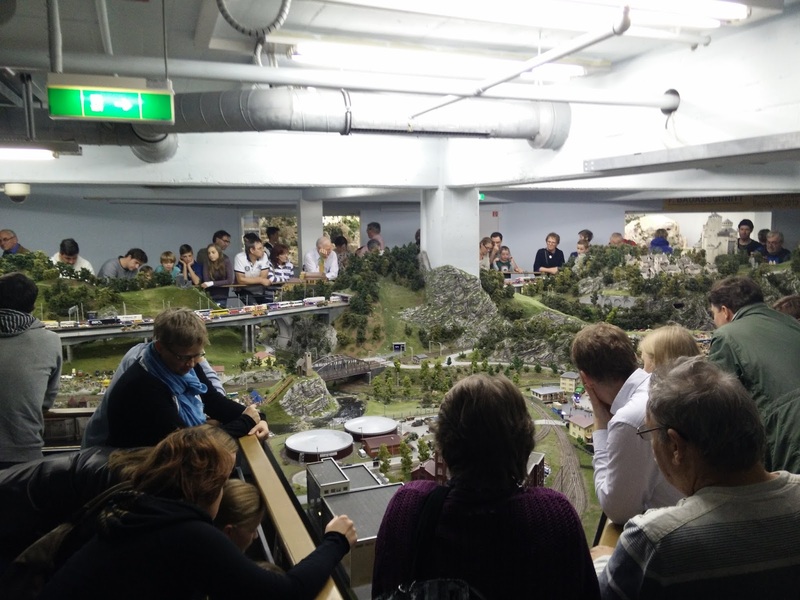 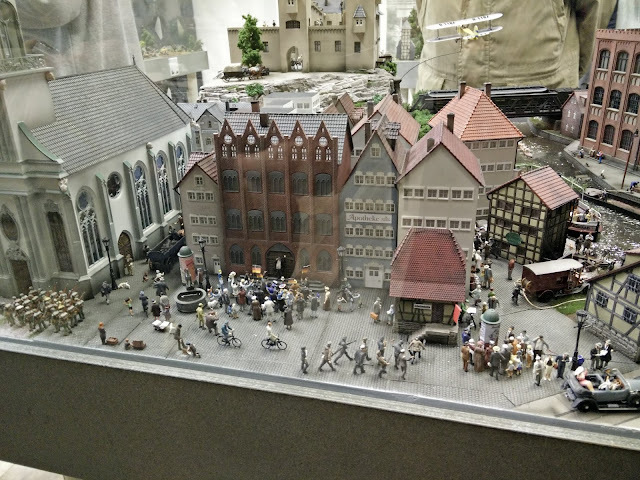 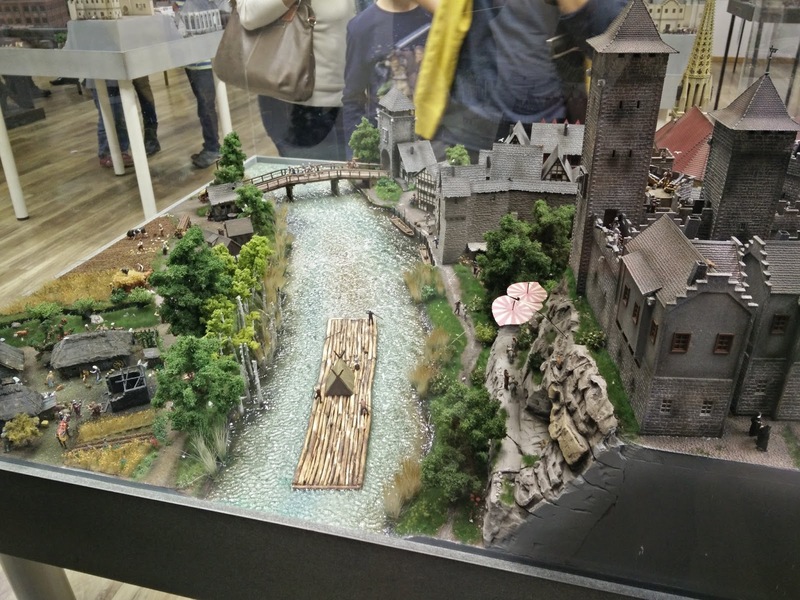 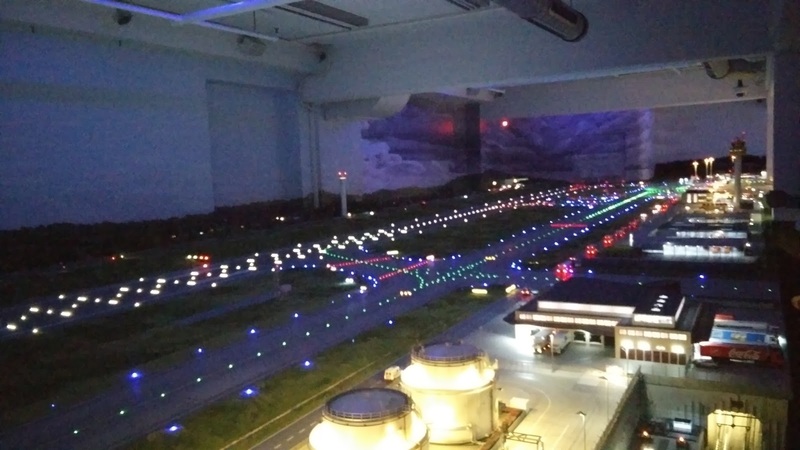 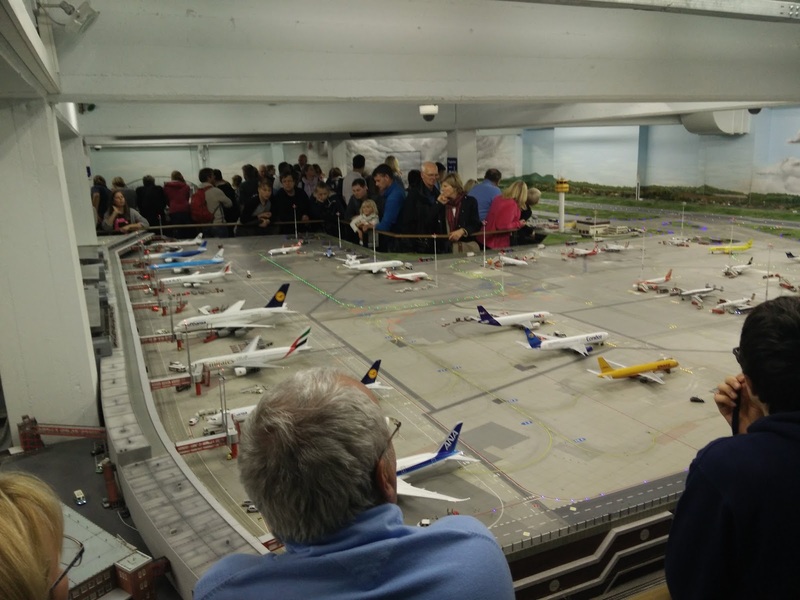 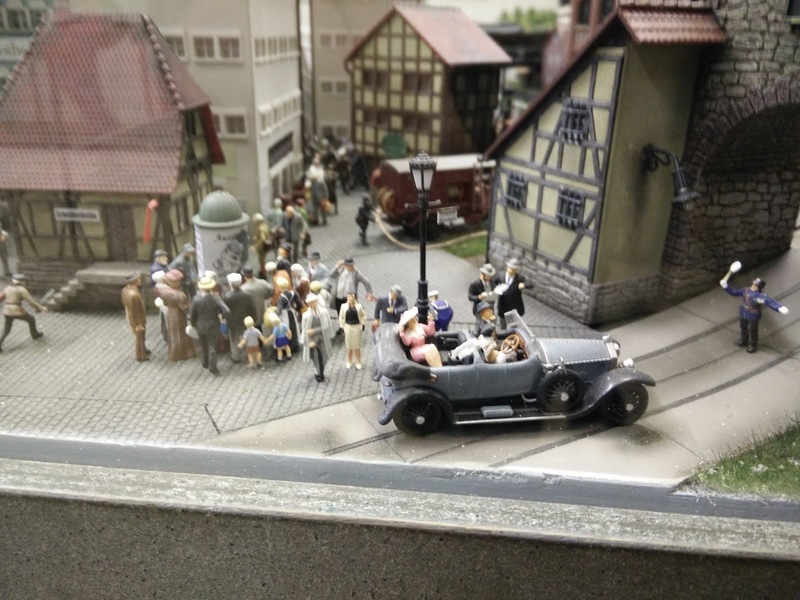 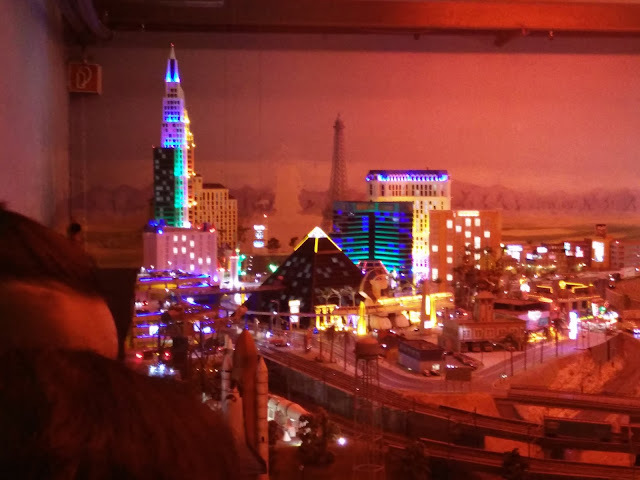 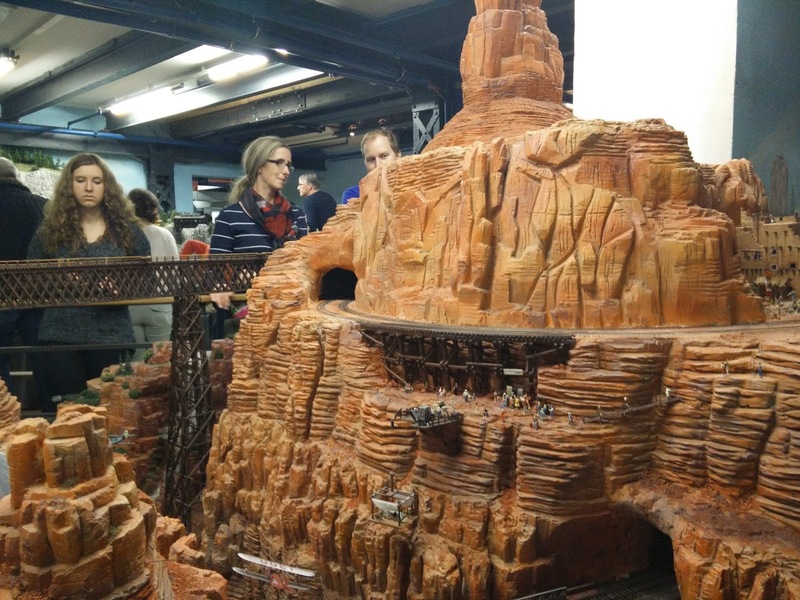 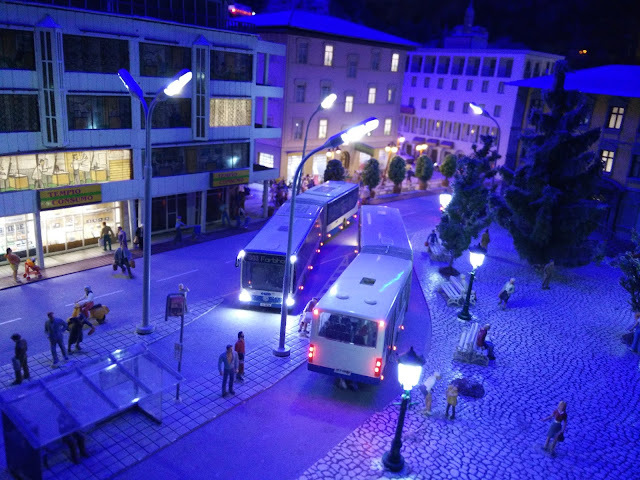 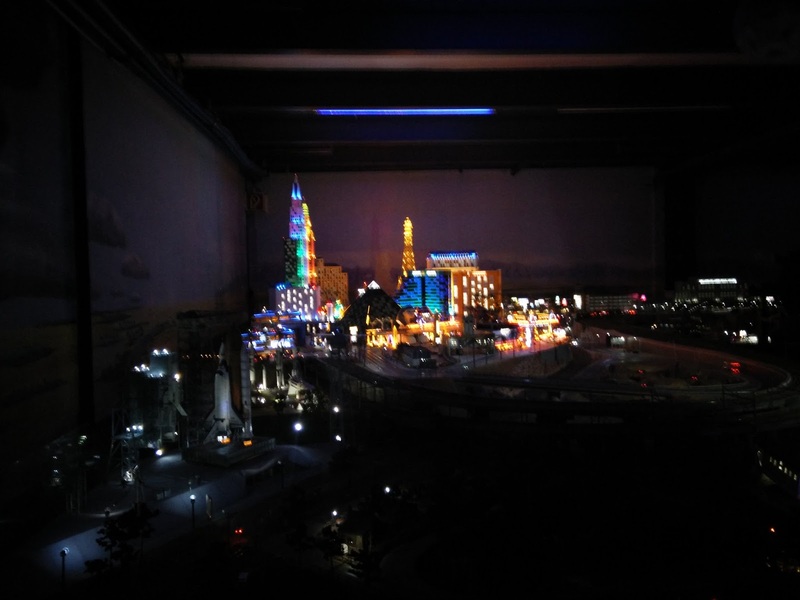 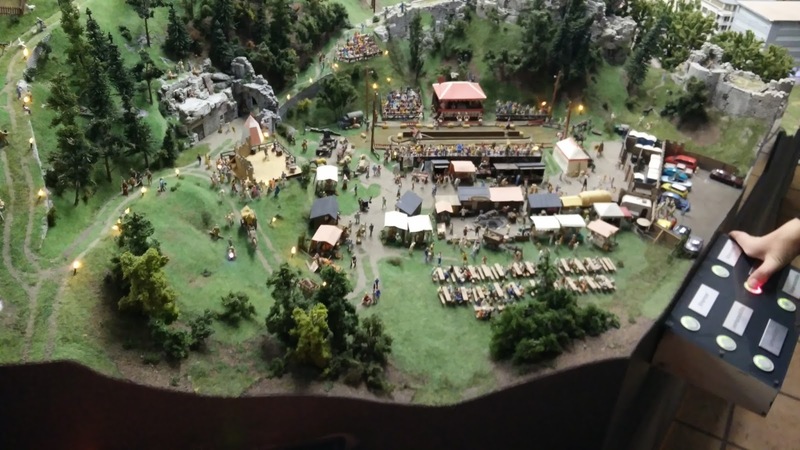 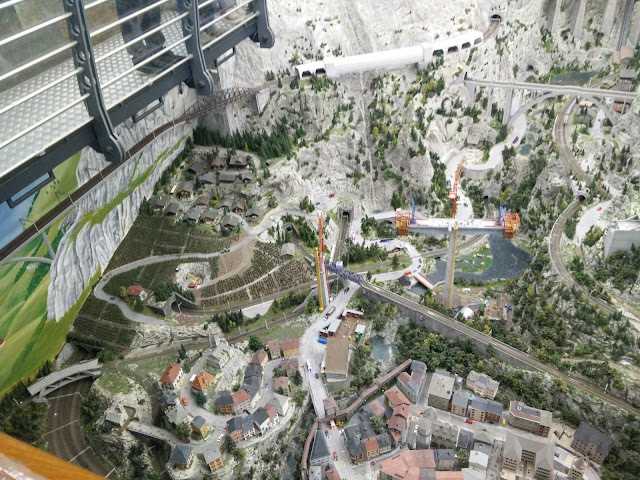 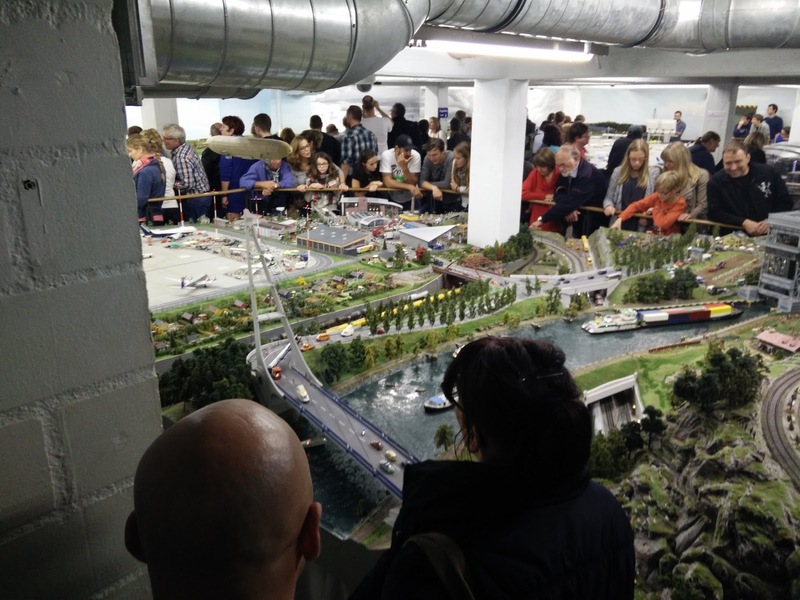 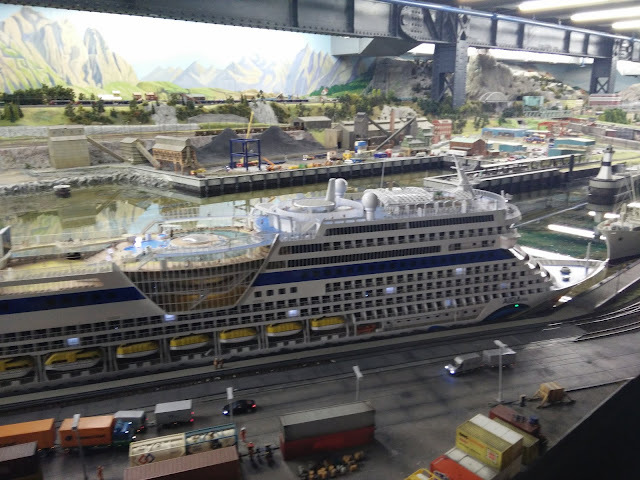 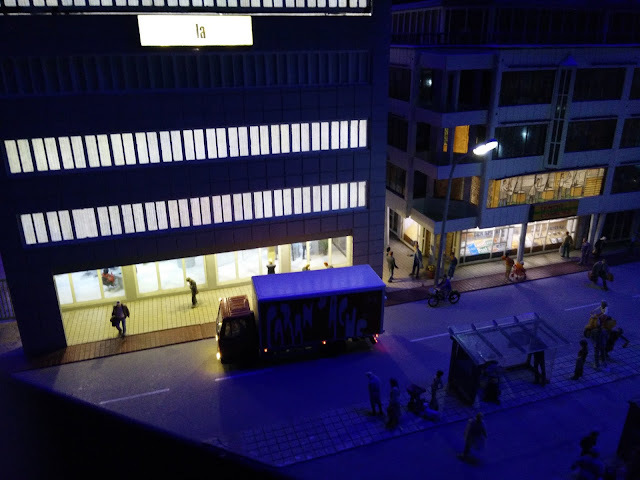 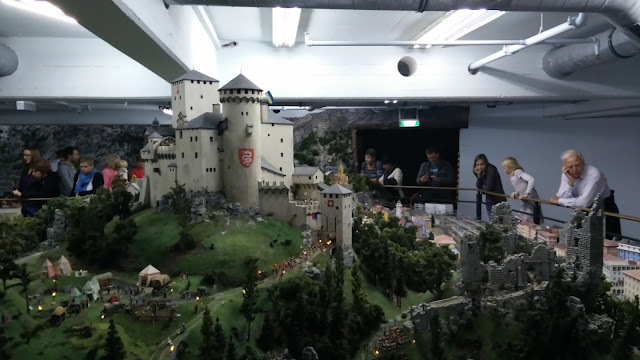 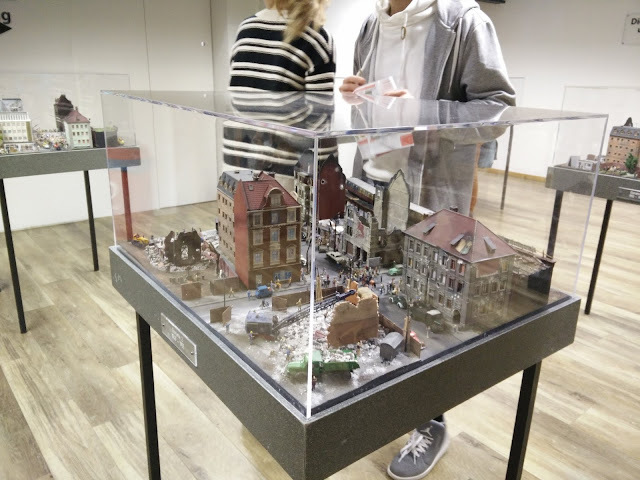 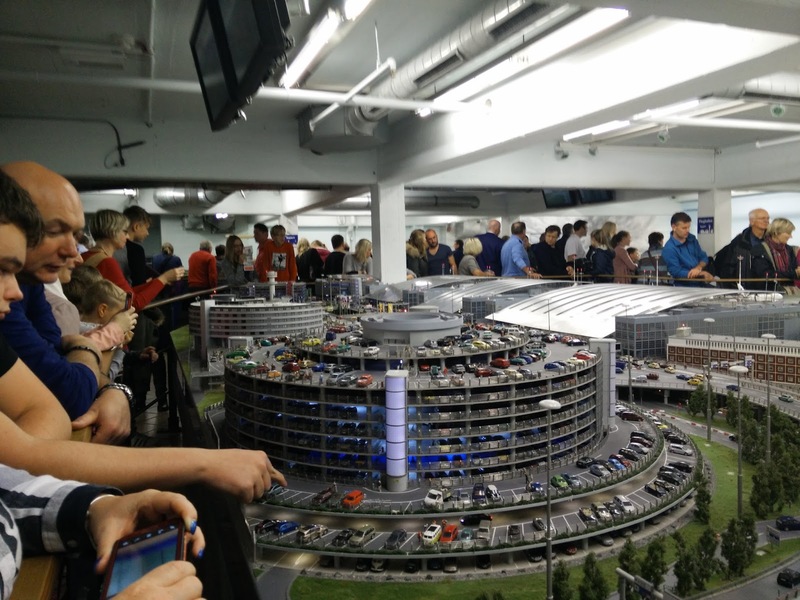 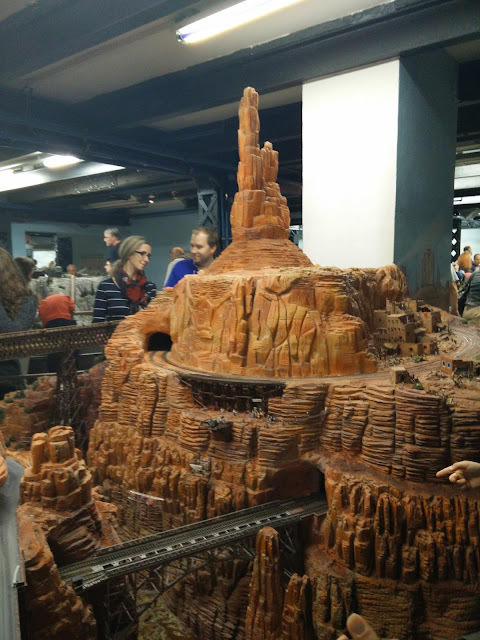 My son who is in Germany studying, visited the Miniatur Wunderland last week and has sent me a large number of photos which I am sharing through this post for those who love models and have a hobby of model making. 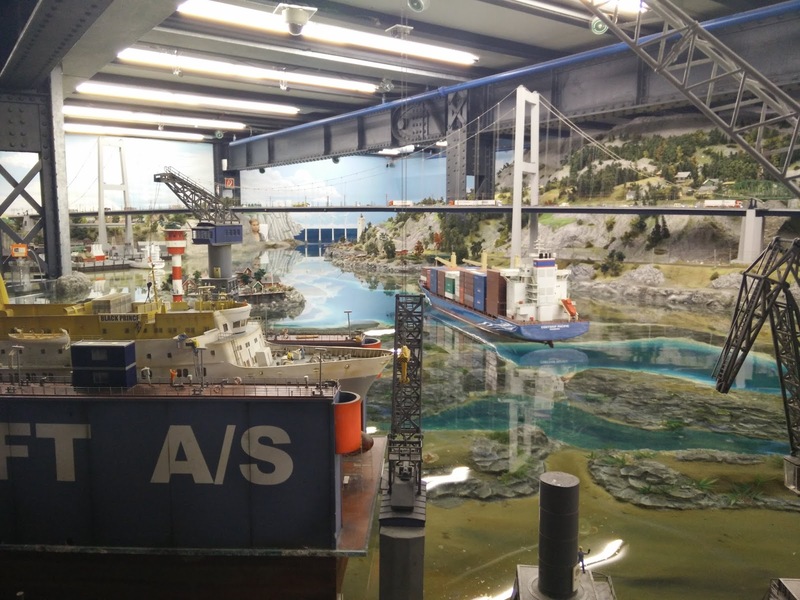 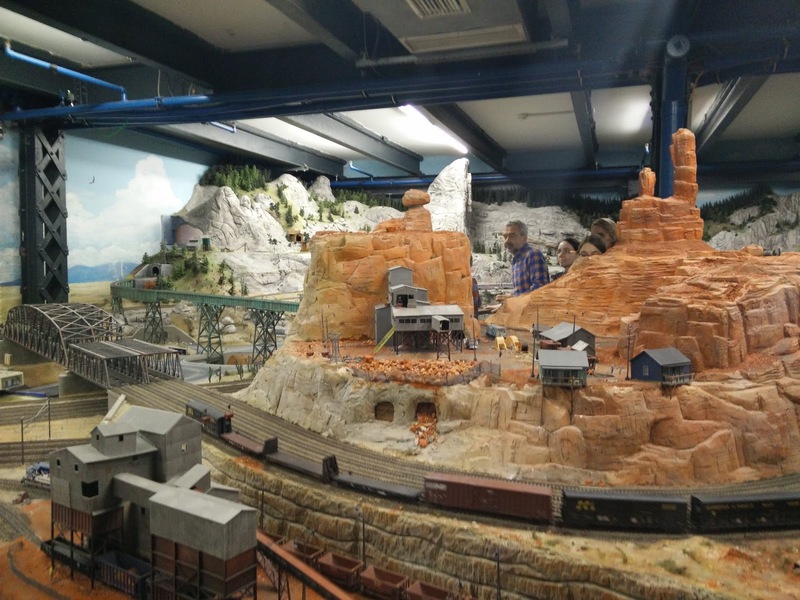 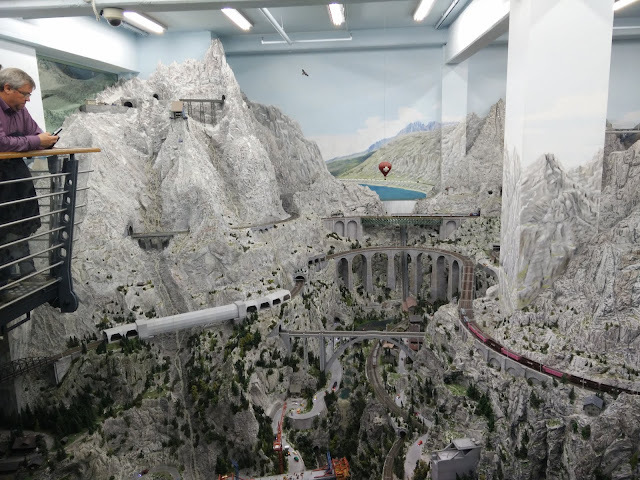 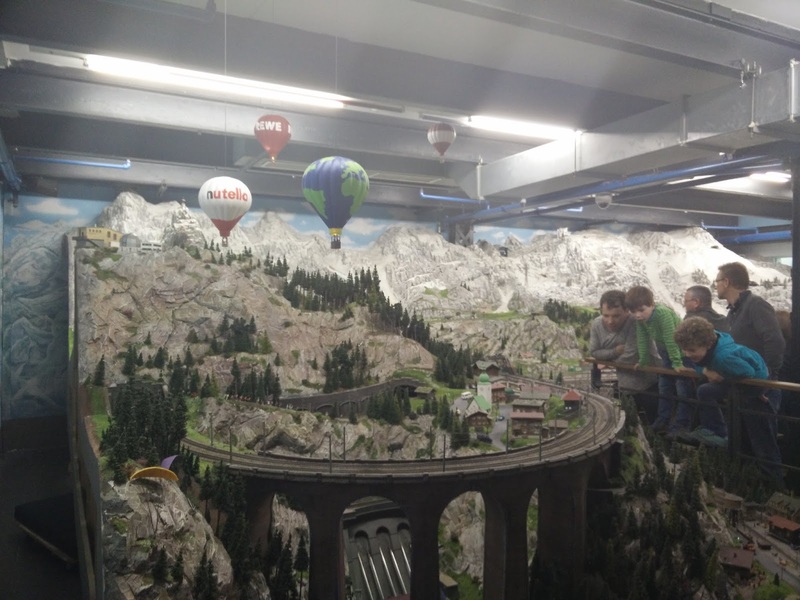 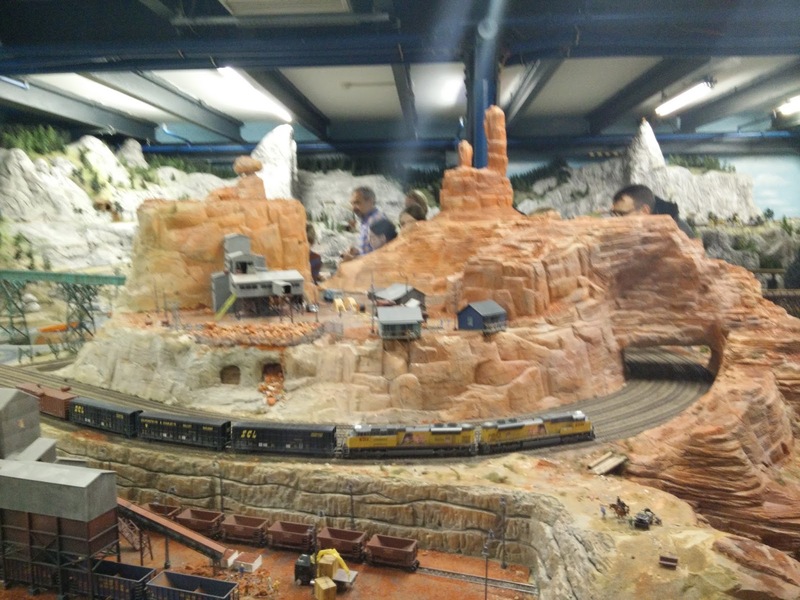 The Wunderland is today home to the largest model railway in the world, and one of the most successful permanent exhibitions in Northern Germany. 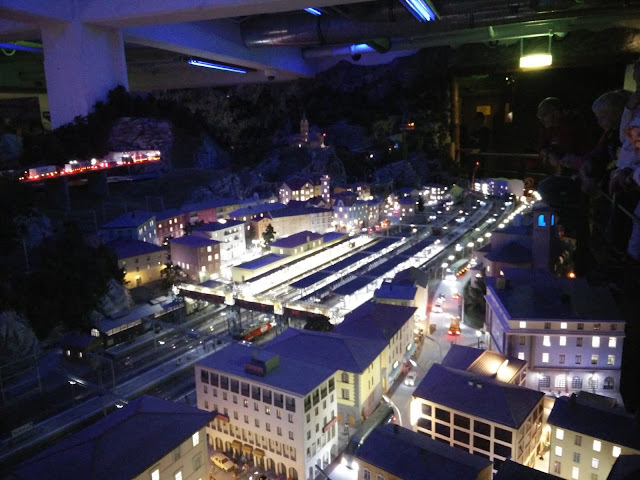 There are more than 100 trains seen running on the numerous tracks across the model city. 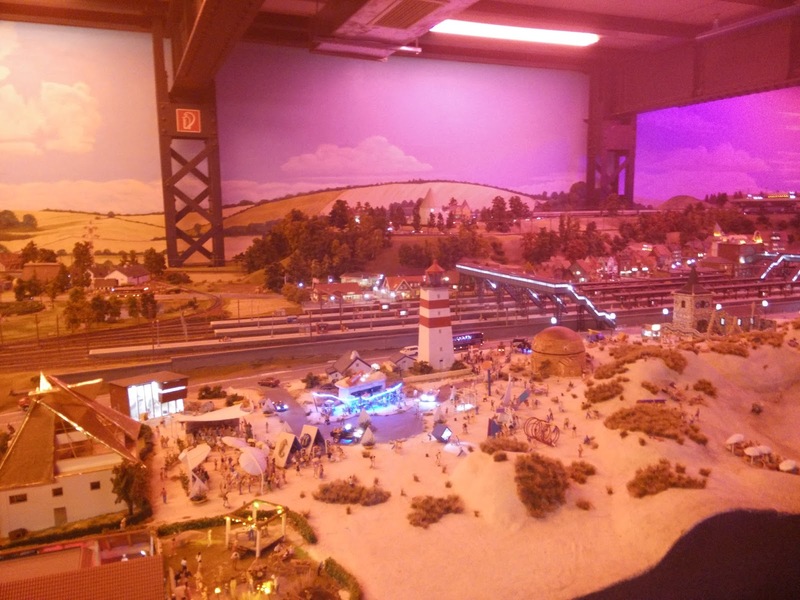 The railway is located in the historic Speicherstadt. 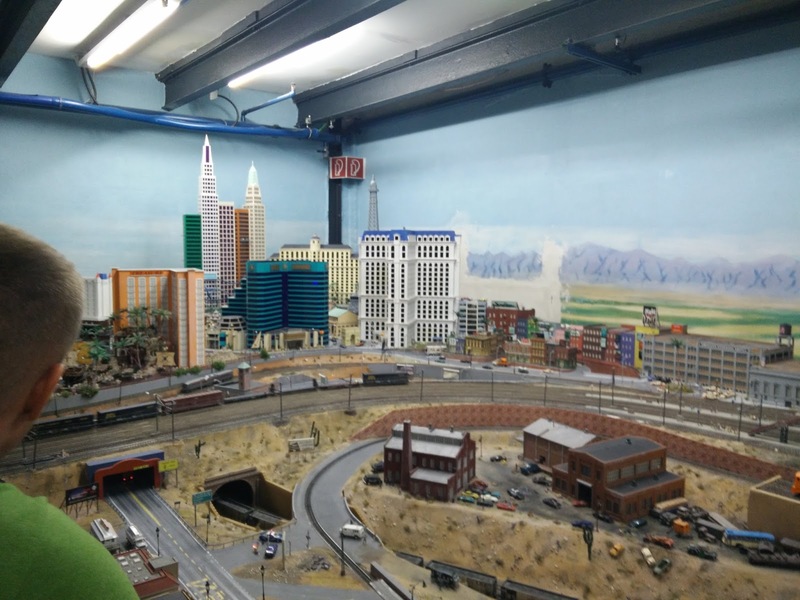 As per information available, by 2020, this model railroad will feature 1900 signals, 4000 switches, 6000 buildings and bridges, and over 500,000 lights. 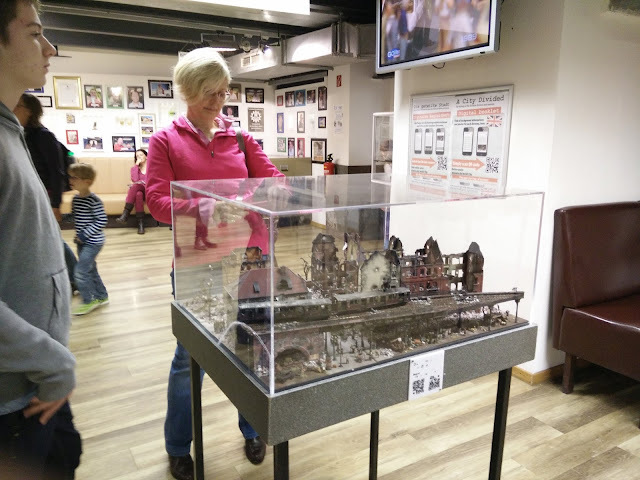 Presently only seven sections are on display. 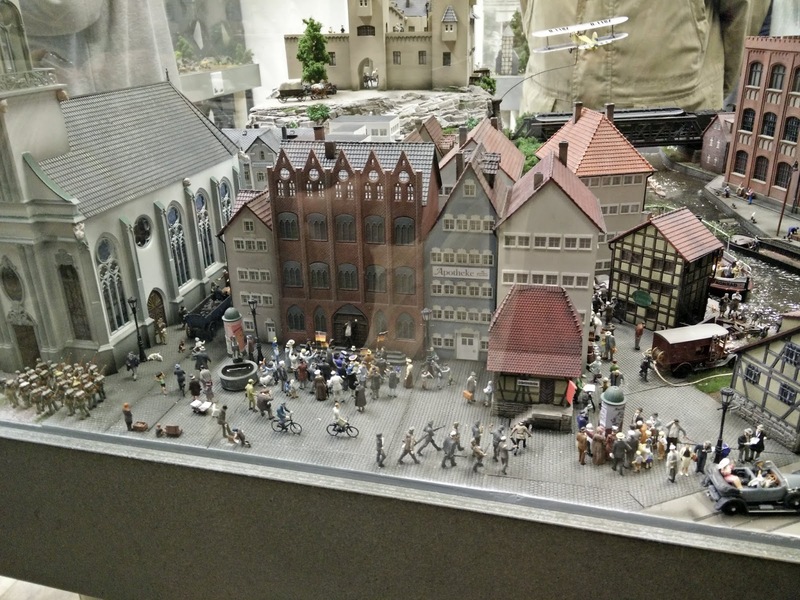 Besides Germany, there are exclusive sections that depict Austria, America, Scandinavia, Switzerland. 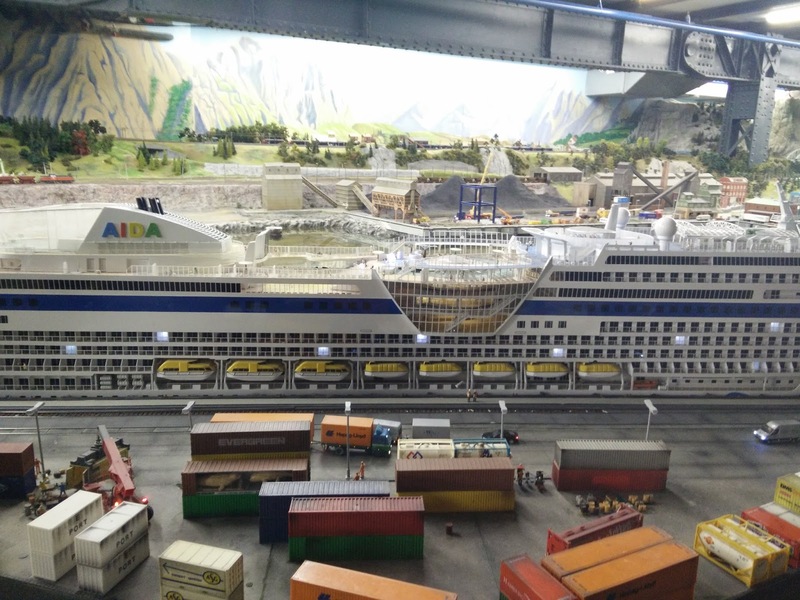 Italy is under construction while France, England and Africa may come up between 2017-2020. 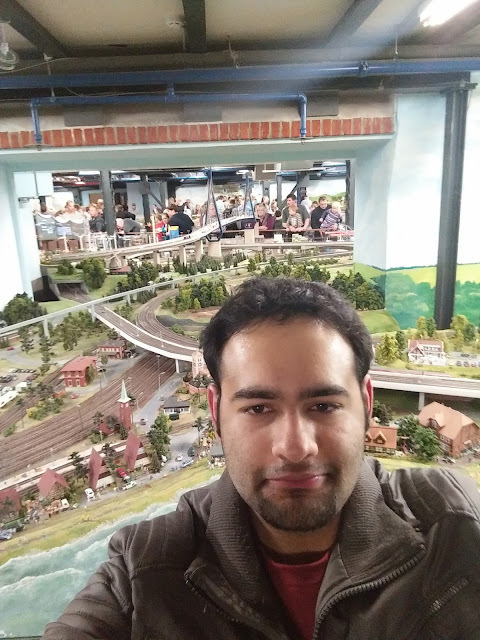 At places like Miniatur Wunderland, no one can resist a selfie - not even my son!! 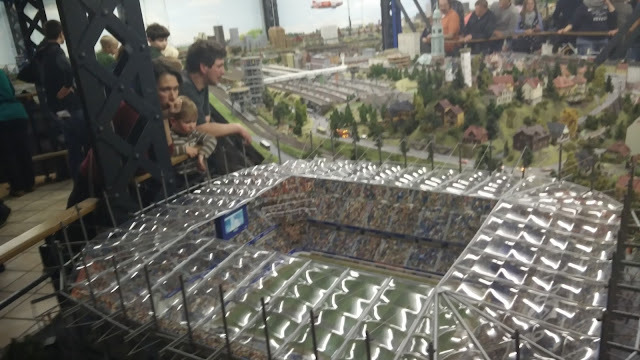 The Volksparkstadion stadium located in Bahrenfeld, Hamburg, Germany. 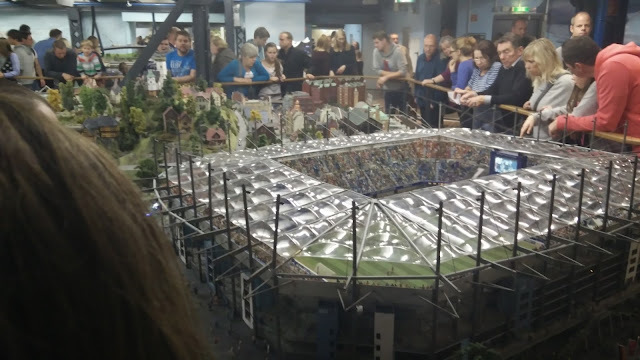 It is the home ground of German Bundesliga club Hamburger SV and was one of the 12 stadia used in the 2006 Football World Cup. 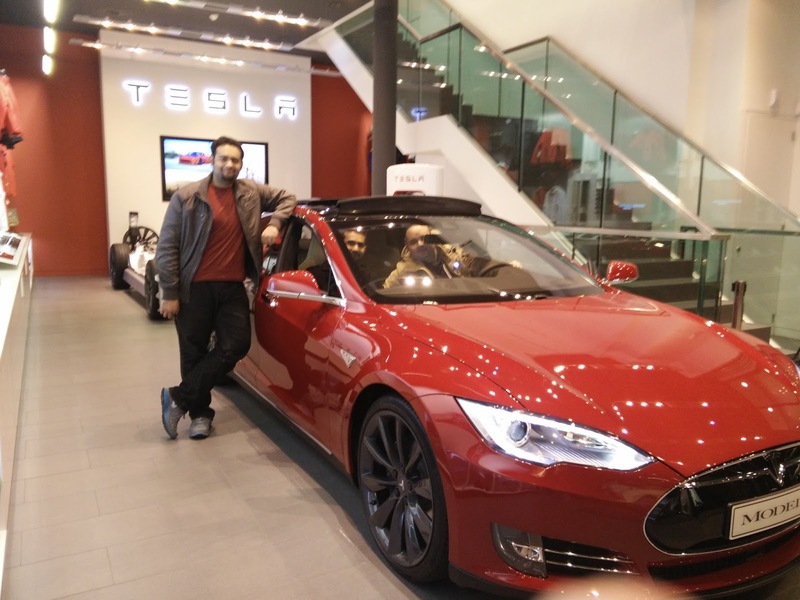 Wahaab Jalal Bhatti: Wahaab JB is studying in the Kiel University of Applied Sciences and doing his Masters in IT. He has a flare for gadgets and has been fascinated with model cars 'Dinkys' since his childhood - which why he was attracted to the place that infused in him his childhood nostalgia once more. 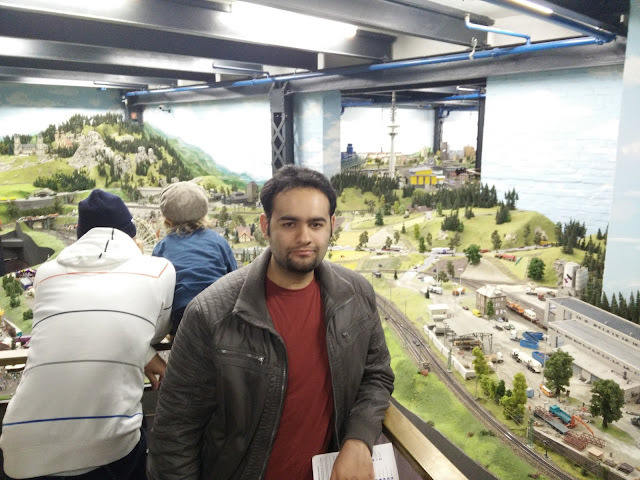 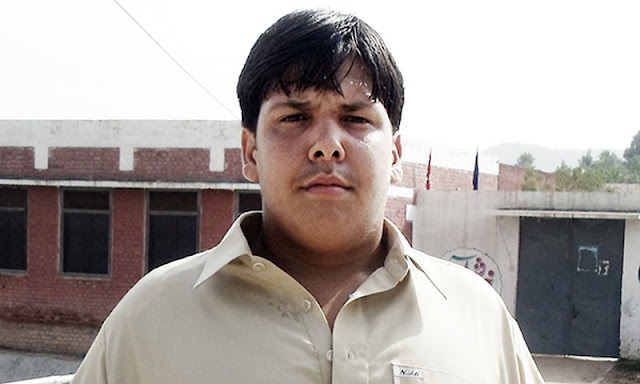 As of now he has his sights set on software development and engineering and has already developed a few prototypes apps which he may someday field into Android world. 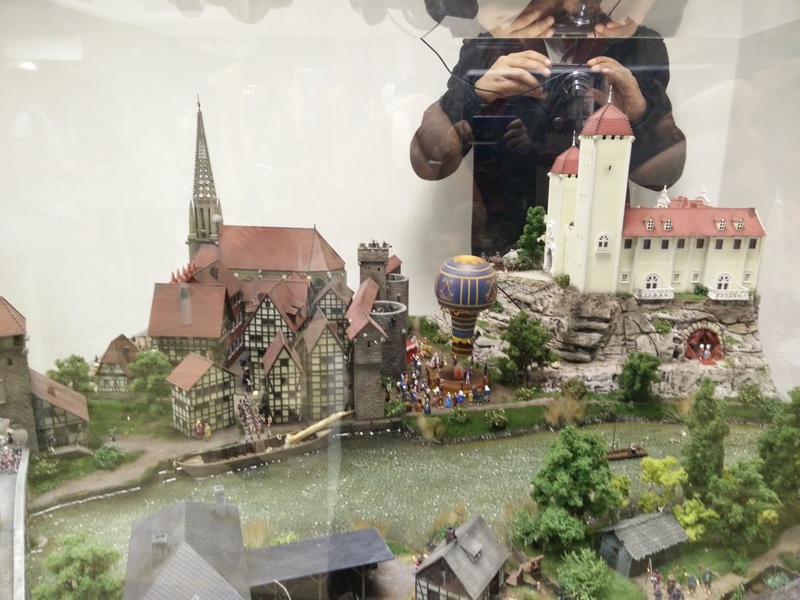 He has taken these photos with his One+1 smartphone.